The 1961 Newport successfully introduced a new low-line model for Chrysler. Base prices for the model dropped by seven percent compared to 1960, and the gap between a four-door Newport sedan and the more upscale New Yorker grew to nearly $1,000. The Newport also received a smaller 265-hp, 361-cid V-8, which won the car the Mobil Economy run for the year at almost 20 mpg. Cosmetically, taillights were relocated to be above the bumper and the trunk lid became ribbed. This would be the last year for Virgil Exner's big fins. Newports were available as four-door sedans two- and four-door hardtops, a convertible and six- and nine-passenger station wagons. The new model proved popular, as 1961 Chrysler Newports accounted for more than half of the company's sales. Big news for 1962 was the end of tailfins, which were summarily trimmed off of all Chrysler models. The front of the car was unchanged, with slanting headlights alongside an "open mouth" grille, which was wider at the top than bottom. Newport sales continued apace and the four-door sedan alone accounted for almost half of Chrysler’s 120,000 unit sales. 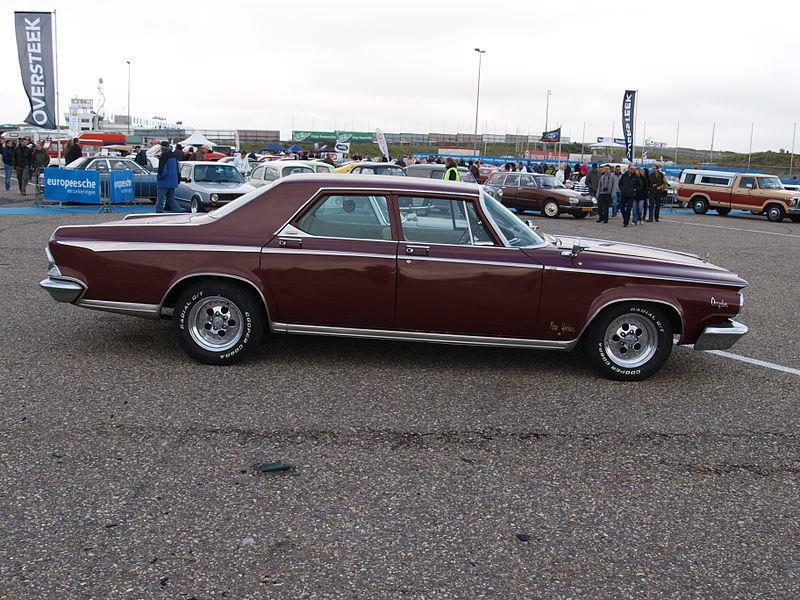 Like all Chryslers, the Newport was redesigned in 1963, with a slab-sided square shape, a bold trim line running around the car at the top of the fenders, and four headlights that we're no longer tilted. All Chrysler models now shared the same 122-inch wheelbase. The 1964 Chrysler Newport was essentially unchanged from the previous year, with only a slightly modified grille and taillights changing from a round design to a square one. Due to its iconic fins, 1961 Chrysler Newports have been the most collectible model year, though interest in the defined 1962 model and the slab-sided 1963 and 1964 Newport is increasing. Convertible Newports in particular are handsome and interesting choices. These cars are something of a value today.